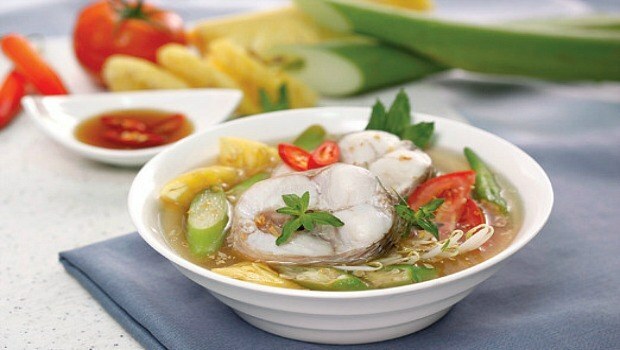 Soup is an indispensable dish in almost Vietnamese families’ daily meals. 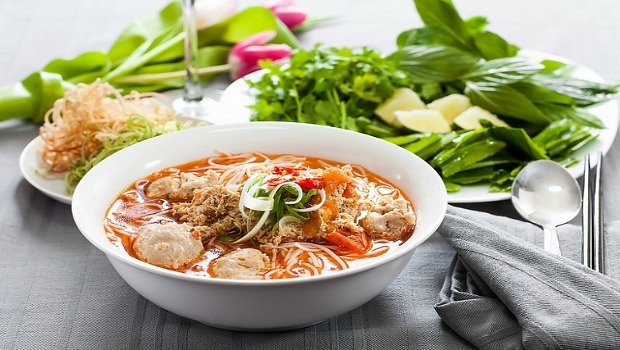 From past to the present, Vietnamese people have created many soup dishes which are made from several ingredients, including vegetables, herbs, meats, seafood… Vietnamese soup is very sweet, usually made from broths. 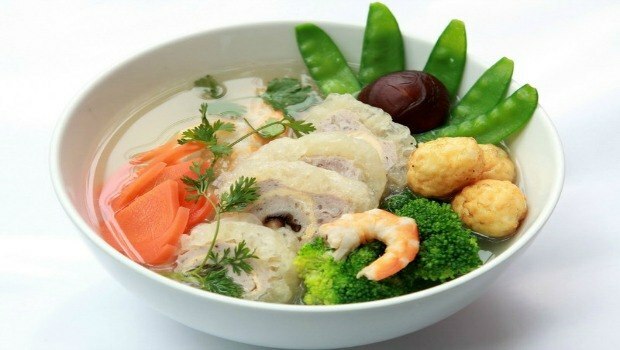 Vietnamese soup is also appreciated by many foreign tourists. 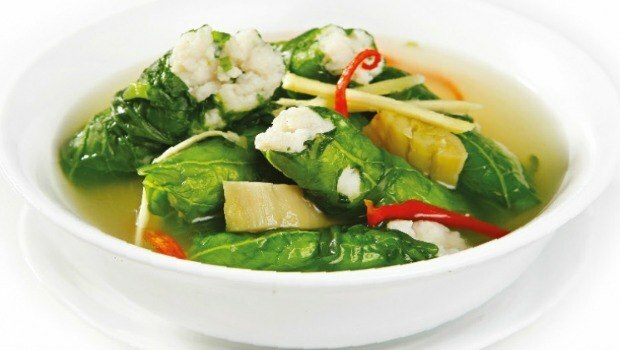 Vietnamese soup seems to be a familiar delicious dish to many people in Vietnam. 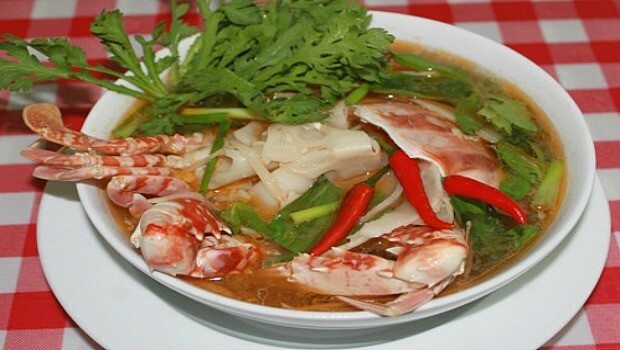 In the country where the sun heating the fields but also squeezing the sweat of the farmers and workers; where in June “crab emerges from the water” but people still go to the fields, a bowl of sour soup is really a gift of nature. Soup is associated with Vietnamese taste, culture, and soul, with the working life of thousands of people from past to present. 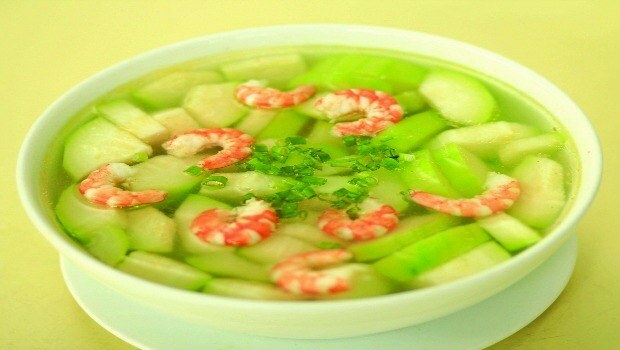 Soup is the top choice of Vietnamese people when the summer comes. The daily meals of Vietnamese families can lack any dish, but they almost never forget the soup. Vietnamese soup is variated in many different forms; for example, water spinach soup, sour rib soup, fish sour soup, … Vietnamese soup dishes can be made with many kinds of herbs or sour fruits, such as lime, kumquat, dracontomelum, star fruit, tomato, pickle … Each soup has its own unique taste, carrying the features of the tropical land. Made from simple ingredients, which are available in the markets and super markets, soups, through the skillful hands of the chef, always has a certain position in Vietnamese cuisine and culture. Vietnamese soup dishes themselves are always preferred and used throughout the year. In tropical countries, soup dishes play an important role: adding water to the body and balancing the heat, as well as increasing the flavor of the meal. Sticking with Vietnamese life, soups are also changed according to each separate region, becoming the specific dishes of the regions. Every kind of soup expresses the essence and characteristics of the region in which it exists. 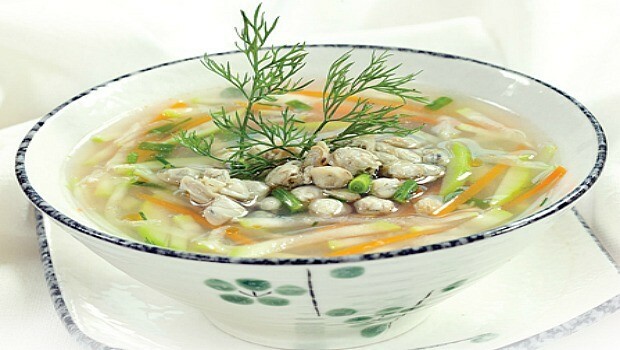 Soup – so – is quite worthy to represent Vietnamese cuisine. 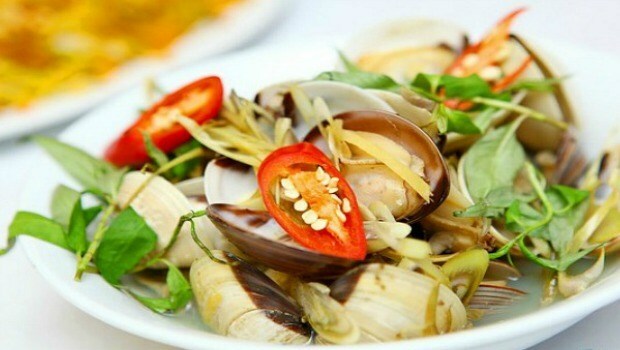 In the past, when the economy met a lot of difficulties, if it was to hard to prepare a nutritious and delicious meal with a lot of dishes, such as fish and meat, Vietnamese people just needed to prepare a pot of soup, some vegetables, and some salted eggplants to bring about joy for their dears in the family. 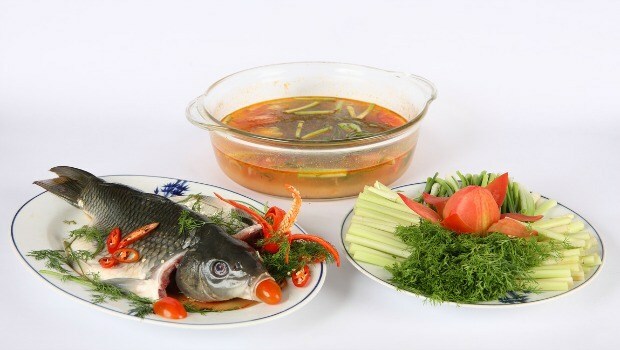 Vietnamese soup dishes are not only present in ordinary meals but also are delicious dishes in the wedding feast, festivals, in restaurants, and diners. Soups can become more luxurious when they are “transformed” into rib soup or fish soup. 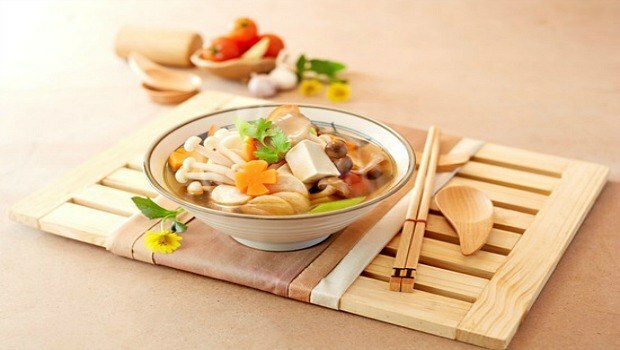 A sip of sour and sweet soup can quickly relieve the heat and refresh our body effectively. This is a simple-to-make Vietnamese soup which is very tasty with the freshness of shrimps, broth and squash. 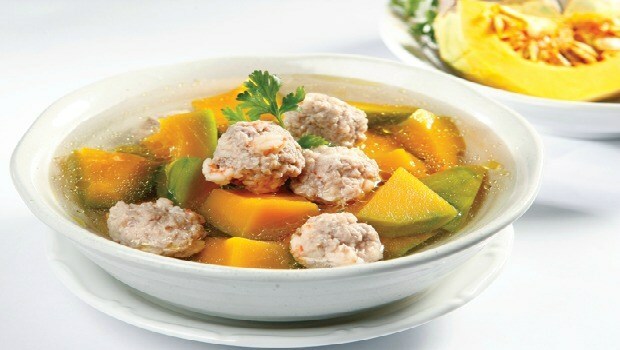 The natural freshness of papaya and shrimps make papaya soup an attractive and delicious Vietnamese soup which is enjoyed and unforgettable soup dish. Every rainy season, villagers prepare the baskets, bamboo traps, or nets to go fishing and catch anabases. People just need to put their bamboo trap or basket in the water flows over one night to get a bunch of fresh fish for their family’s daily meal. Anabas flesh is fatty yet tighter, fresher, and more fragrant than industrial anabases, and this is always a popular rustic ingredient in many dishes of Vietnamese people. There are a lot of ways to process anabases. 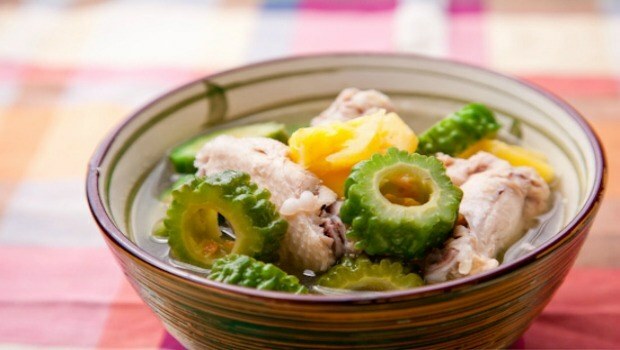 Some dishes are simple to cook, such as fried anabas, braised anabas, anabas spinach soup, anabas porridge … but, the most delicious dish made from this fish is the anabas starfruit soup. Anabas and fresh starfruit are the 2 popular ingredients in the rural areas in Vietnam. The combination of these two foods will give you a very attractive dish. Cartilage squash soup is very fresh and cool, made from easy-to-find ingredients. In addition, this Vietnamese soup is very simple to make. 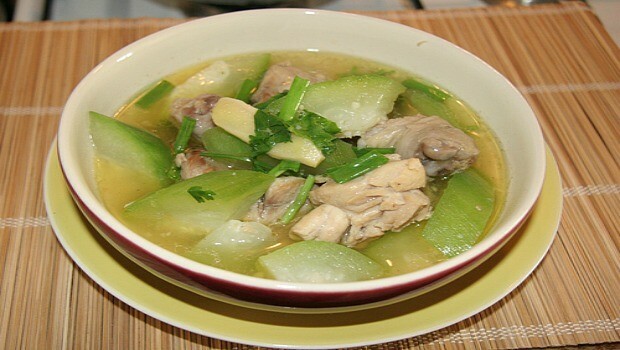 The freshness of chicken, the slight sourness of pineapple and the bitterness of bitter melon are blended and balanced, giving the soup its own unique and delicious flavor. 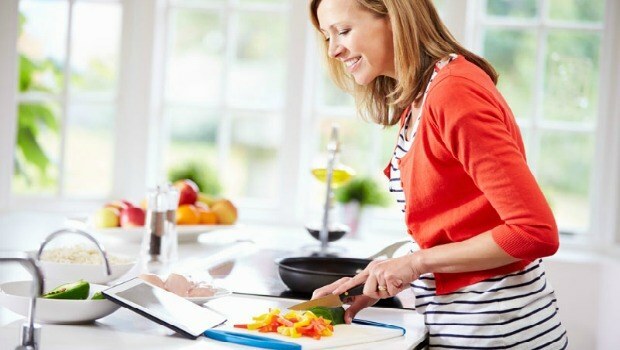 Just after a few quick and simple steps, you will have a bowl of delicious and nutritious pumpkin soup for your whole family with the ingredients which are available in the summer. Bronze fratherback pie is chewy; the broth is fresh, cooked with mustard greens will not make people disappointed. 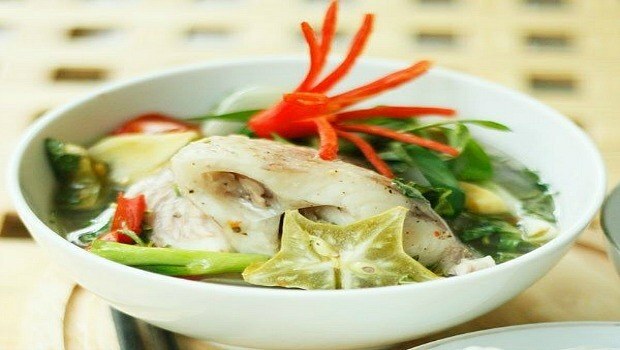 This Vietnamese soup is really a delicious dish in the meal of many Vietnamese families. This soup is fragrant with fennel; the soup is fresh thanks to grinded lean meat, tomato, and tofu. 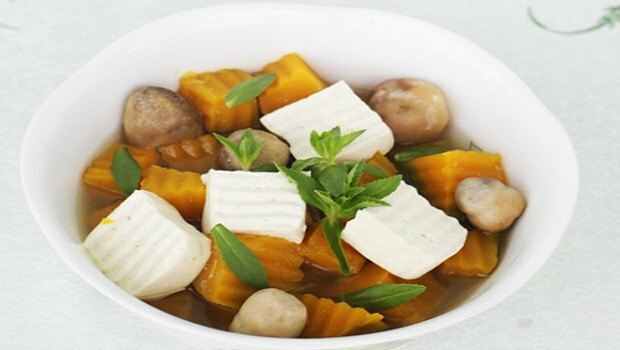 This is among rustic, simple to make, and delicious Vietnamese soup dishes which can provide your family members many nutrients, especially calcium. This cool and fresh soup with many kinds of vegetables and tofu is very suitable to be served with rice in hot summer days. Your family meals will be very warm with this simple yet extremely delicious and nutritious Vietnamese soup, so give it a try! 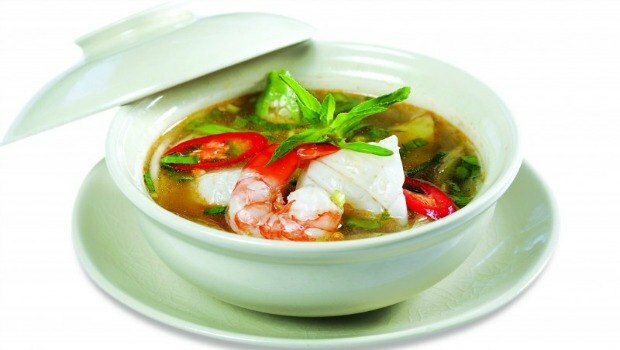 The turnip shrimp soup is one of the most delicious and nutritious Vietnamese soup dishes which will provide you and your family’s members a lot of essential vitamins and minerals. This soup is very rustic yet very fresh and cool, suitable for hot summer days. The ingredients to make this soup are also very easy to find in any food store or supermarket. 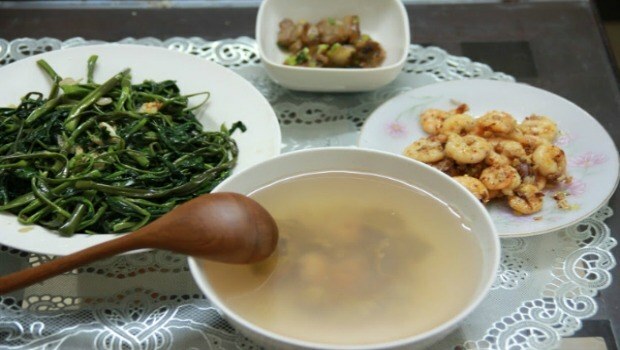 The special fragrance of the enydra fluctuans, the crunchiness of the bean sprouts, and the slight sourness of tamarind make the sour water spinach tamarind soup unforgettable! 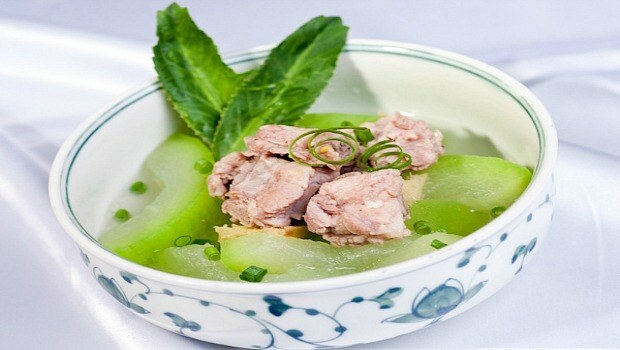 Chayote is fresh, very suitable to be cooked with chicken. This is a simple Vietnamese soup dish which is very fast and easy to cook. It is also very nutritious and tastes wonderful. The ingredients used to cook this soup are available and easy to find in any food store or supermarket, so people should not concern about the material issue. This soup is very nutritious, providing people a lot of important and essential vitamins and minerals, especially vitamin A. The ingredients of thish soup are also very simple. 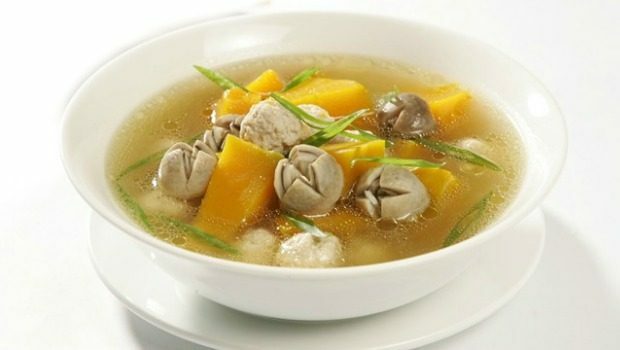 This warm soup with the sweet taste of shrimp, clams, and squash, will make you more palatable and give you more energy. 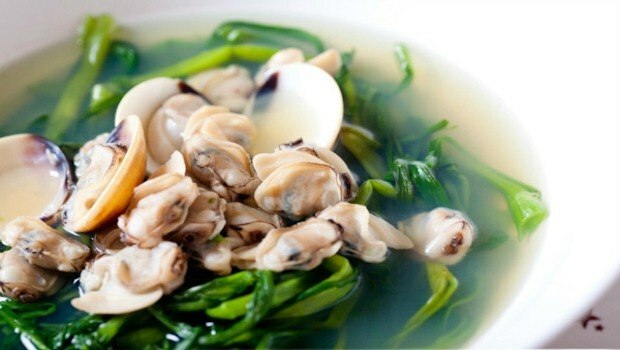 The mussel water spinach soup is the perfect combination the freshness and the crunchiness and aroma of the water spinach will definitely make your family happy. When the middle of the reason comes, a bowl of hot sour fresh-water crab soup will make your family’s meals more delicious. 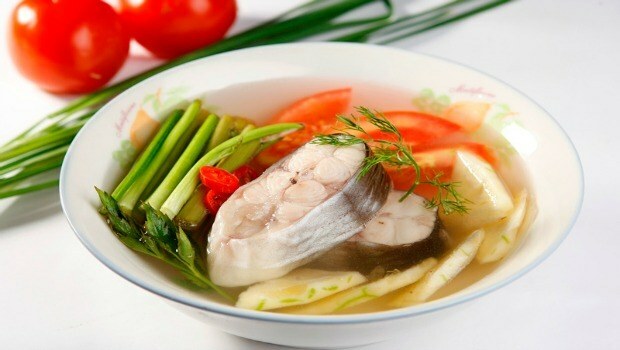 Sour snakehead soup has been familiar to Vietnamese people for a long time, especially to people who live in the Southwest region. In hot noon, eating sour snackhead soup along with snackhead braised in terracotta pot (“Ca Kho To” in Vietnamese) will help to blow all of your bad feelings and tiredness far, far away. You can try making this delicious sour snackhead soup to make your family’s daily meals “richer” and more attractive, helping your family members blow the hot, tired summer days away. 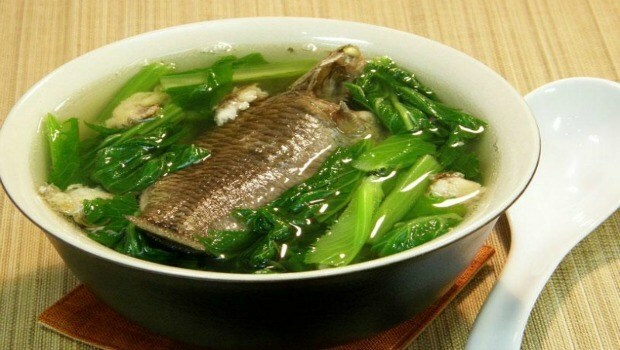 This is a one the specific soup dishes of Hanoians. 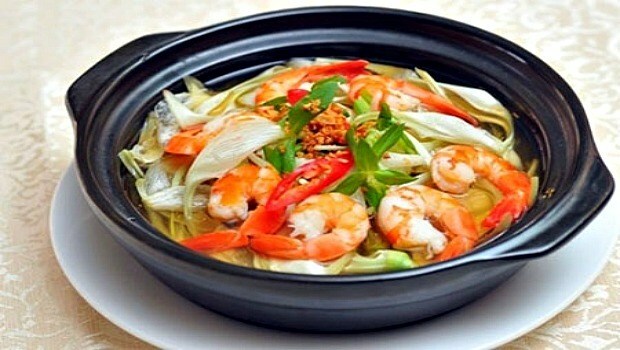 The cooking process of this dish is very picky so there are not many people have chance to taste this delicious dish. To the peasants and people living in the rural area, their family meals often contain dishes and ingredients depending on the seasons. The season of the sea portunidae is also the harvest time of the gourd. Gourd is often planted approximately 1 month before the season comes. When the very first gourd fruits appear, the season of sea portunidae also comes. When the gourd is big enough – when the middle of the gourd season comes – it is time for harvesting the gourds and cooking them with fresh portunidaes. The perfect combination of gourds and portunidaes make a fresh, delicious, and nutritious soup dish, carrying the “taste” of the sea. Just serve portunidae gourd soup with some crispy salted eggplants, and you are about to have a wonderful meal which are rustic yet tastes like a feast food tray. 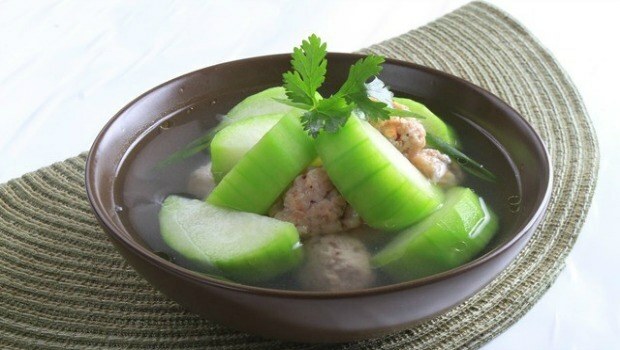 The portunidae gourd soup is very cheap and simple to cook, yet delicious and nutritios, helping people quickly recharge their energy in hot summer days. 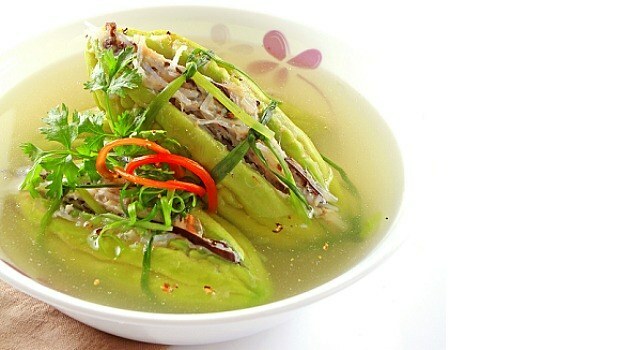 Bitter melon stuffed with meat soup is a traditional Vietnamese soup, especially popular in holidays with the deep meaning – the hope that all of the challenges and tiredness will go away. 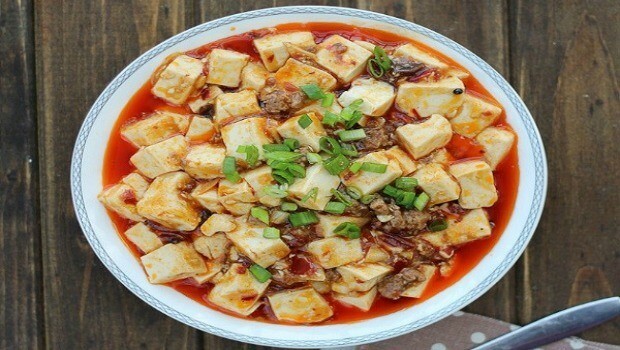 In addition, this is really a super delicious and nutritious dish with the heat balancing and detoxifying effect, especially in hot summer days.